Milaimi Alli, the woman implicated in the multi-million dollar hit on her murdered fuel dealer husband, Ramzan Alli, was this afternoon charged for the crime. Her arrest comes after her lover allegedly implicated her in the crime by telling cops how he and the woman murdered her husband while the Alli’s children were asleep. The 50-year-old woman appeared this afternoon before Chief Magistrate Ann McLennan, days after she was arrested at the Cheddi Jagan International Airport (CJIA). 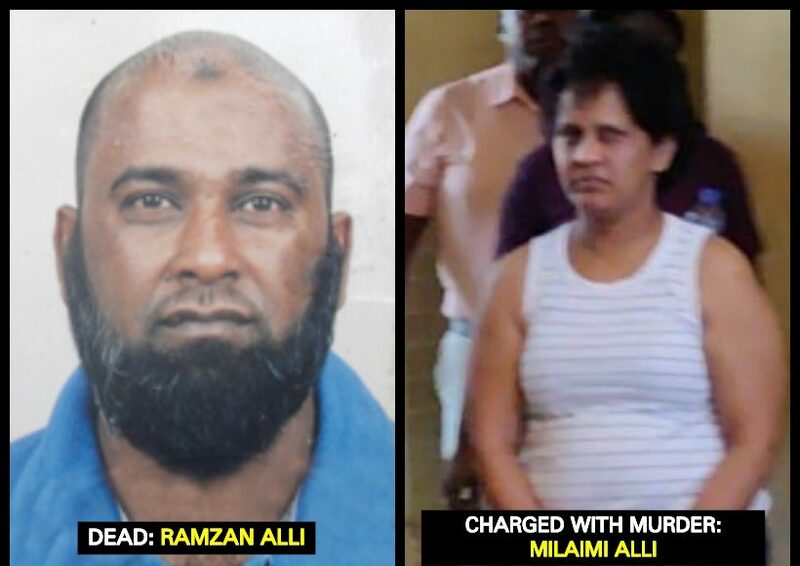 Alli was not required to plead to the charge which alleged that, while being in the company of others between July 11 and July 12, 2009, she murdered Ramzan Alli, her husband. The woman of 29 Kissoon Housing Scheme, Good Hope, East Coast Demerara was remanded to prison until April 15, 2019. Ramzan Alli was allegedly struck to the head and suffocated while asleep and stuffed in a car trunk by his wife and her lover, police say. Her lover, Zaheed Mitchell, a 38-year-old driver of Foulis, East Coast Demerara (ECD), was charged and remanded last week for the same crime. According to information, Alli vehicle was discovered in Coldingen, East Coast Demerara (ECD) hours after he was murdered. A postmortem examination revealed that he died from asphyxiation. The investigation into his murder was recently reopened after Mitchell told police how he and the woman murdered the businessman while his children were sleeping in their respective rooms and then got rid of the body. Back in 2009, both the woman and a taxi driver were arrested but they were released due to lack of evidence.